On September 12, Apple’s iPhone X made its global debut. Today it is listed at #1 on YouTube Trending. In 24 hours, it has received 9,857,302 YouTube views. This viral video is approaching 10 million views. The iPhone X’s design is more advanced, as there is no home button. Its all-new 5.8-inch Super Retina screen is crafted with the most durable glass used in a smartphone. The iPhone X is water-resistant and dust-resistant. This phone specializes in refinery, as its A11 Bionic chip operates with superhuman intelligence. This chip is capable of performing 600 billion operations per second. The iPhone X’s A11 Bionic chip is 70 percent faster than the A10 Fusion chip. Its refined dual 12-megapixel cameras capture every memory, even in low lighting, with optical image stabilization and high resolution. Apple’s iPhone X also includes Face ID, which is enabled by the TrueDepth camera. With Face ID, a precise map of your face is created through analyzing 30,000 invisible dots. This feature can also be used for Apple Pay. Apple will release the iPhone X on November 3. Pre-ordering starts on October 27. This high-end phone retails at $999 for 64 GB and $1,149 for 256 GB. 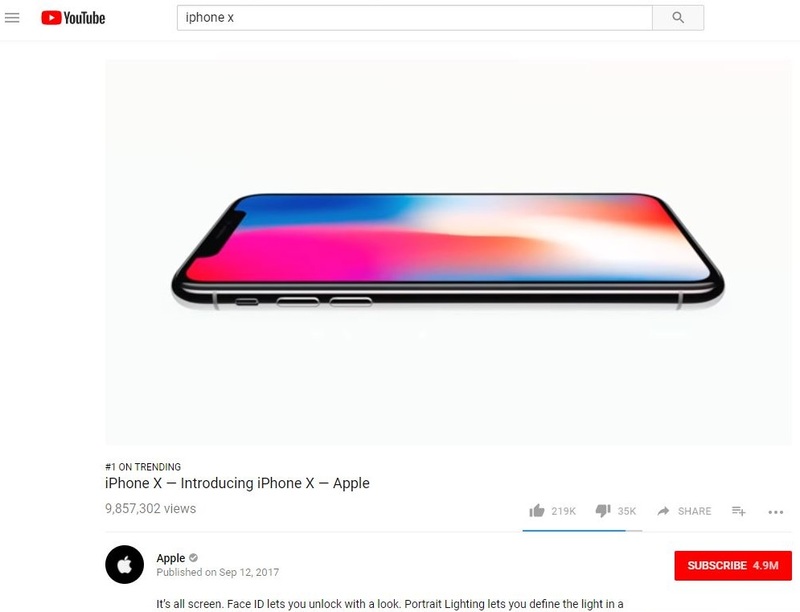 The iPhone X commercial has 10 million YouTube views. Click here to see it. Questions? Click here to read more about Apple’s iPhone X.